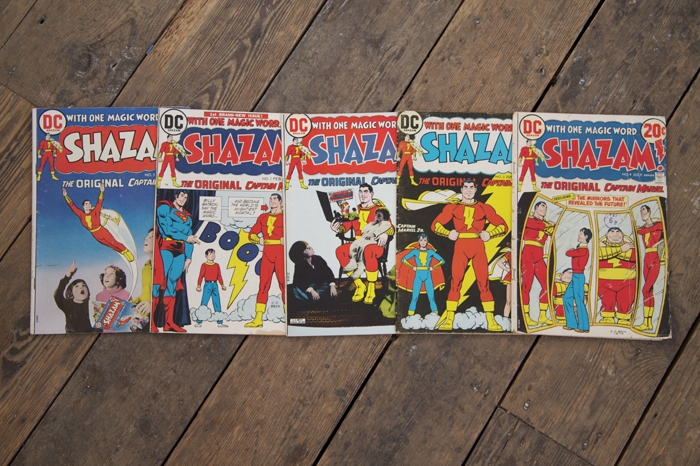 Nobrow Press | CURIOS: Shazam! Billy Batson is a normal 15 year old newsboy but when he utters the magic word “SHAZAM” he is transformed into Captain Marvel: ‘the world’s mightiest mortal’ to his friends, ‘the big red cheese’ to his enemies. The above issues from the 1970s all contain super-clean art by the great C.C. Beck, Captain Marvel’s defining artist. It was Alan Weiss, however, who provided the inspiration behind Jon Boam’s Shazam 34 print (as seen on Covered).